Lovely and Cozy decorative pillow from Denmarks brand OYOY. It is knitted with 100% soft cotton yarn and filled soft 100% polyester filler. 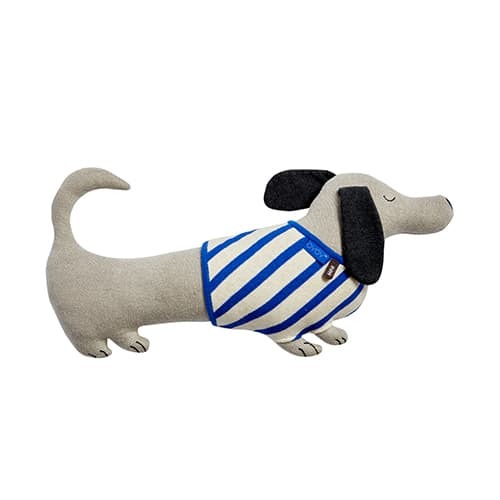 Slinkii Dog Cushion is perfect to decorate a kid's room.